This print of loungers and swimmers in a pool has been hand-drawn for a unique design that features only on our swim shorts. 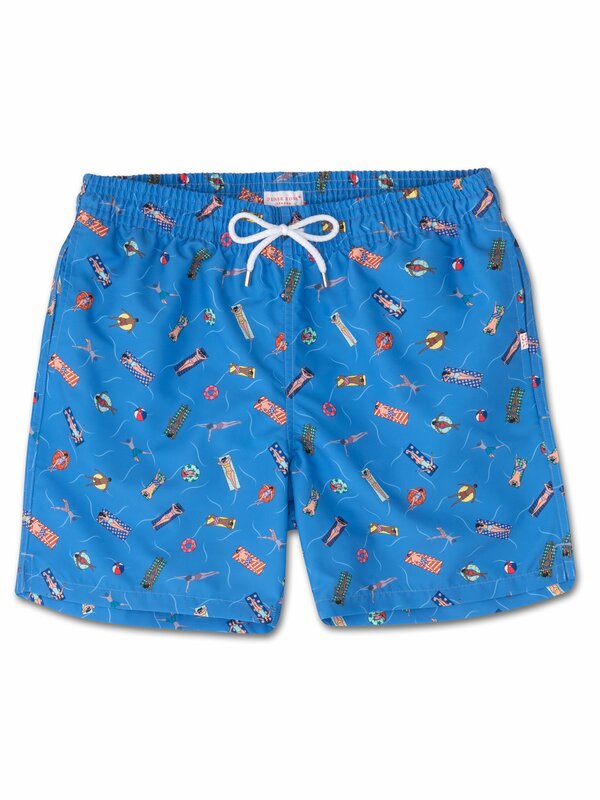 You may even be able to spot some of our signature prints on the swimwear and loungers. We've designed our swim shorts to be comfortable and stylish both in and out of the water. Our Maui 12 classic fit swim shorts in blue are crafted from a quick-drying polyester fabric which has been pre-washed for a supersoft finish. Beach to bar is effortless, meaning you can get on with your vacation in comfort.